For those who wish to bring their truck in to the dealer to complain and hopefully get fixed, reference TB #17-NA-269..... This was the fix for the 2014-2018 generation that had the same exact issue we are experiencing now. It's not going to apply to our trucks as the infotainment system is a completely different animal, but at least the dealer can look up this TB and see that GM did recognize this in the past. I guess fortunately for you you're not suffering from the same issue. That's great, move on to the next post. Unfortunately the issue I'm talking about is a defect with the truck, not lack of looking in the manual. This was a problem on the prior generation as well and was addressed with Technical Bulletin #17-NA-269..... Still waiting on a fix for the new generation, apparently the designers forgot this was an issue and regressed back into it. If you're referring to the brightness while in reverse many of us are experiencing issues where, no matter how dim you have the infotainment screen/dash lights set, when shifting into reverse the infotainment goes to maximum brightness (and no its not because the camera is sensitive to light, the screen's backlight itself is going to full brightness). 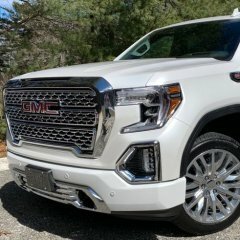 I have messages/calls to GMC customer service but no one has responded. Does anyone know if there is a way to get dual guidance lines on the backup camera VS just the single center line? I looked through the owner's manual and through the infotainment but can't find anything. No that definitely isn't it but I know what you're saying. With this problem you can see when you shift into reverse the physical screen brightness intensifies to max..... Like if you had your iPhone and set the dim all the way down then turned the brightness up to max, that is how different the brightness is... it's drastic. Its not the image that is bright, its the back light on the screen itself that is blinding. No I just mean your specific truck must not be suffering from the issue... You guys probably do have the same identical truck but it appears the problem is sporadic. Your's must not be affected. The issue the OP is talking about makes the screen so bright it blinds you and reflects off the side windows so you cant see your side mirrors or out of the back window. It was a recognized problem on the last generation and was fixed by GM. Just added the body color wheel well flares. For anyone wondering, there is no hardware to remove, its all plastic clips. Here is a before and after. I love the look, they differentiate the truck a little from the rest of the Sierras on the road. Only other things I have planned are blacking out the front and back GMC emblems and tinting the front two windows 20% to match the rear. I'd like to add chrome body molding to the doors but don't want to remove the Denali emblems. I just got them installed and they came out great. It was actually super easy but I broke about 1/4 of the old clips when removing them from the truck. The new ones come set up with all new clips. For anyone wondering, there is no hardware to remove, its all plastic clips. Here is a before and after. I love the look, they differentiate the truck a little from the rest of the Sierras on the road. Only other things I have planned are blacking out the front and back GMC emblems and tinting the front two windows 20% to match the rear. I'd like to add chrome body molding to the doors but don't want to remove the Denali emblems. It was a problem on the last generation but a service update fixed it. I'm also experiencing this but haven't paid a visit to the dealer yet, it's on the agenda. The more people that go in to the dealer for a fix the faster GM will fix it. Either way it will definitely require a software update once GM is able to put one out. Those look great. 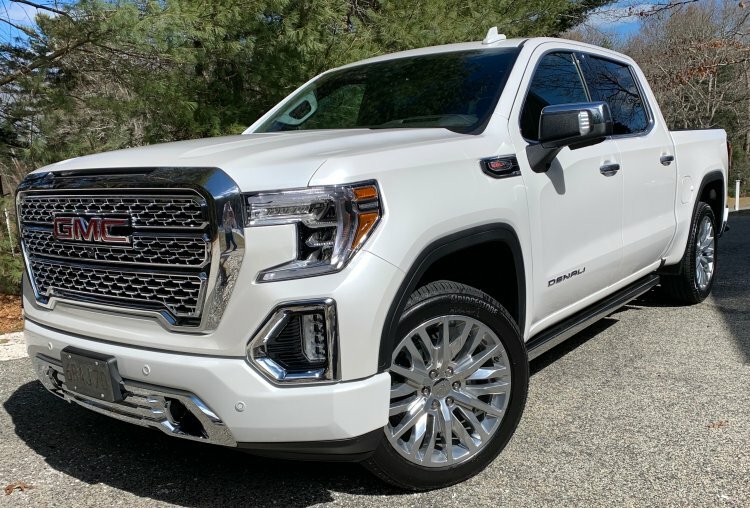 Definitely clean up and class up the exterior look of the truck. Did you install them yourself? Just curious what the process entails, mine were delivered today and wondering if its worth the $40 to just have the dealer do it. Does anyone have any issues with their accelerator pedal? I went from a 2016 with 6.2 to this 2019 with 6.2 so I am familiar with the extra "click" at WOT... But my pedal has a sticky feeling to it and feels extremely firm. By sticky I mean when I go from brake to gas and press it down I have to press a little harder to get the pedal moving then I inadvertently end up giving it too much throttle. Not really a big deal but kind of annoying. The truck has about 1k miles on it now so I figure if it was just firm because it's brand new it would have broken in by now.